The very best way to lose five pounds in two days is to make a decision to take two whole days to stop dieting and chose to eat very slowly, very mindfully, and very intuitively, giving your body exactly what it needs to thrive. I know that quitting dieting to get to a healthy weight sounds totally counterintuitive, but overeating is the other side of dieting, which means that when you choose to go on a restrictive diet, there is a very good chance that you are going to lose your momentum, then binge, and put on more weight than you took off. Healthy, intuitive eating is the opposite of dieting and of overeating. If you really, truly stop dieting, just for a couple of days, and implement intuitive eating, your body will begin to settle into it’s healthy, comfortable weight. I know that it sounds unbelievable, but I promise you, it’s true. Quitting dieting is the sure way to find your healthy, natural weight and come to peace with food and your body. One of my clients and I were discussing the other day how everything she’s done to her body over the past 25 years, all the diets, all the exercise, the thousands of miles she’s run, the millions of crunches she’s done, the bags of cookies she’s eaten, the loaves of bread and boxes of candy she’s binged on, the carbs she’s restricted, the low-fat diets she’s been on, the shakes she’s drank, the detox diets she’s done, the diet books she’s read, the leg lifts, the pilates classes, the workout videos, the gimmicks, the fads, the coconut oil she’s eaten, the kombucha she’s drank, the South Beach, the Weight Watchers, the Atkins, the Dukan, the Ex-Lax, the “as-seen-on-tv” exercise equipment and workout videos, the stress, the anxiety, the not leaving the house on “fat days”, the depression, all of it… it’s all basically been for something like five pounds either up or down. That’s it. In all the years she’s been dieting, she’s been either up five pounds, or down five pounds. This client teeters between 130-140 pounds but hovers around 135. She hates herself at 140, likes herself better at 130 and struggles at 135, where she probably most naturally falls. And she has been at this weight since she was about 16 years old. And for all these years, she’s been trying to get down to around 125 pounds. Can you imagine how many pounds she’s lost and gained in the past 25 years? And the thing is, she really keeps coming back to the equilibrium of 135 pounds. Sometimes she’s 5 pounds up. Sometimes she’s 5 pounds down. 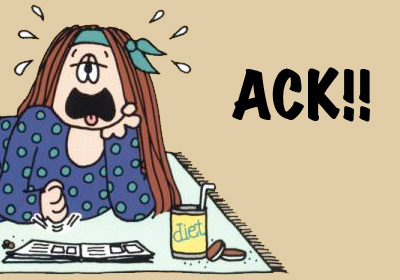 But she’s never happy. She tries and tries and tries to get to 125 pounds. And she’s been trying and fighting with those pounds for 25 years. There’s no room for much else in her life. Her weight takes up most of her energy. And for just five pounds. Does that sound familiar to you? Is that you or someone you know? It’s not unusual, and for many people, it’s their whole lives. They strive to be a weight that their body just doesn’t want to be. They struggle with diets, they struggle with food and exercise, and they struggle with self image. People spend so, so, so much time trying to lose weight, and all that work, all those years, for many it’s just for a few pounds. They’ve run 100 marathons, gone on a million diets, eaten 10 billion oreo cookies, spent hundreds of days fasting and dieting miserably, and yet… their bodies aren’t all that different. I call it the 5 pound paradox. All the work spent and, it’s usually around five pounds either way. Wouldn’t… acceptance be easier? By quitting dieting for 2 whole days and eating intuitively, there’s a chance that five pounds would drop off your body. But it would definitely drop from your mind, and that’s where it weighs the most. If you didn’t have your weight to obsess on all the time, what else would you be thinking about and doing? Sometimes dieting and thinking about getting to a certain weight all the time is easier than dealing with what’s underneath, what you’re really trying to cope with. Dieting is a way of gaining control and coping with challenging feelings and situation. What if you took the next two days and made a decision. No diets. No bingeing. Just for two days: “I’m going to eat slowly and mindfully, I’m going to implement intuitive eating, I’m going to eat what my body needs to be healthy, three solid meals per day. Whatever looks good. Whatever I want. No over the top thinking about it. Just giving my body what it needs three times both days.” After those two days, reassess. What is it like not to diet? What is it like not to obsess? Can you handle it for another day? Are you ready to let go of control? If not, that’s okay. But just give yourself two days. No weighing yourself, no measuring. This isn’t a free-for-all binge. This is, “pretend I’m a normal eater.” Think of the most normal eater you know. Your friend who eats three meals a day, orders what she or he wants without remorse, regret or overthinking it, Eats till she or he’s not hungry any longer, then stops. Try to embody that attitude for a two day experiment and just see how it goes for you. You might be surprised and you might feel liberated. You can sit quietly and talk to your food or try meditation, breathe deeply before every meal, or try some downloadable hypnosis sessions on intuitive eating and mindful eating to help you. 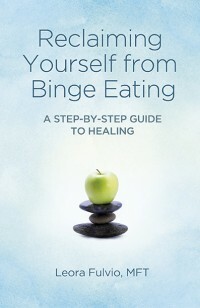 Posted in: binge eating, eating disorder, intuitve eating. Tagged: binge eating help, how to eat intuitively, intuitive eating, lose 5 pounds in 2 days. Great idea! I am going to do this! Wow, that was a very powerful post, and it was just what I needed to read today. As I work to overcome binge eating, I realize that I will never get better if I keep dieting in an effort to reach that elusive “goal weight.” I need to be happy right now. At this minute. My body will naturally settle where it needs to be, and that’s okay. Wow…….I totally agree with what Jess has said. I wonder how you are two years on…….